Ecology’s Fontana Recycling Center takes CRV and scrap metal. Our Recycling facility is located just a half-mile (.5) from the I10 Freeway and Cherry Ave. exit. The Ecology Recycling Center in Fontana serves the cities in the inland empire: Pomona, Chino, Chino Hills, Ontario, San Dimas, Claremont, Upland, Rancho Cucamonga, Fontana, Colton, Rialto, San Bernardino, Norco, Corona, and Riverside. We can deliver and pick up roll-off bins of various types & sizes to recycle your scrap metal. Non-Metallics, Dirt, Rubber, Asbestos, Wood Fiberglass & Liquids, Special Wastes: Solid Waste, Raw Sewage, Contaminated Solid Medical Wastes, Mercury Devices, Septic Tank Refuse, Hazardous Wastes, Radioactive materials, Compressed Gas Cylinders, Explosives, Flammable Material, Weapons, Ammunition, Air Bags, Oil Filters, Sealed Drums, Peb’s, E-Waste (Televisions and Computer Monitors). Fontana is home to many events including the AAA NASCAR races at the Fontana race track. The tens of thousands of pounds of recyclables sorted and collected after their races or events can be recycled at our Fontana CRV and Scrap Metal Recycling Center. Other scrap metal is collected throughout the Inland Empire and brought here for recycling. 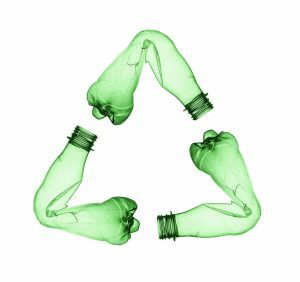 Ecology has been a strong supporter of recycling efforts in all the communities including the largest ones of Fontana, Ontario, and Pomona for decades and will continue to do so on into the future. These efforts are important as all of this material may otherwise end up in a landfill or an incinerator. Recycling centers are an integral part of waste management systems, providing an environmentally sound method for disposal of CRV and scrap metal items. Through Ecology’s recycling center in Fontana, a better future for the planet is possible. Both CRV recyclables and scrap metal recyclables are redeemable for cash at our recycling center in Fontana. Not only is space freed up at your home or business when you bring in these recyclable items, but the environment is also improved. Contamination and pollution levels can be lowered through recycling. This is because new materials are not needed when recycled materials are used. That means that less greenhouse gas emissions occur. This is because, in order to process a new item with new materials, more energy is consumed than if recycled materials are used. Everyone in Fontana is responsible for recycling scrap metal and CRV items to take care of the planet. At all of our Ecology recycling centers, we strive to use the latest techniques to make our process as environmentally friendly as possible. Recycling helps protect the environment. Contamination and pollution can be greatly reduced through recycling, in part because these items don’t end up in the trash, but also because fewer new materials are needed when creating new items. The use of new materials often requires activities such as mining and additional manufacturing processes that increase greenhouse emissions. Everyone in Fontana and the surrounding areas have a responsibility to recycle CRV items as their contribution to taking care of our planet earth. 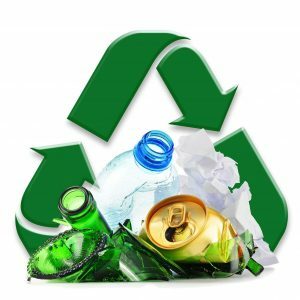 In addition to providing access to recycling centers, Ecology constantly strives to use the latest, most environmentally conscious techniques in our processes. 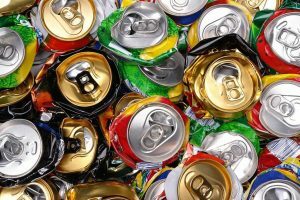 CRV stands for California Refund Value and refers to an amount that consumers must be paid when turning in certain recyclable items such as soda, beer and juice cans, vegetable juice cans and wine bottles, etc. 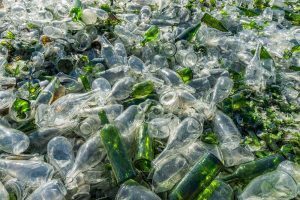 It is part of California’s laws and regulations that are in place to ensure this incentive is paid at all certified recycling centers. You, as a consumer, can reap the benefits by saving up your recyclable items to turn in. If you turn in a significant amount, your trip will definitely be worth it. In addition, by recycling, you’re playing an important role in preserving the future of the planet. 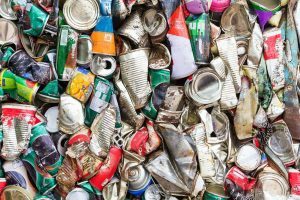 What Counts As Scrap Metal? Typically, scrap metal is divided between ferrous and non-ferrous metals. Ecology’s Fontana CRV and scrap metal recycling center buy both ferrous and non-ferrous metals. How are they different? Ferrous metals contain iron or steel. Although other elements may be present within the metal to produce certain properties, this is the main characteristic. Some of the main sources of ferrous metals are vehicle scrap, demolition site scrap, some old appliances, structural steel and metal offsets from manufacturing warehouses and industries. One other important characteristic of ferrous metals is that they are magnetic. Differing from ferrous metals, non-ferrous metals are distinct in that no iron or steel is in their make-up. They are often more valuable than ferrous metals. Among the most common non-ferrous metals are aluminum, copper, brass and stainless steel. These metals are typically found in items such as window frames, cars, bicycles, faucets, Save doorknobs, wires, some appliances, and kitchenware. Even though stainless steel does contain iron, it is considered non-ferrous because it contains nickel and is not magnetic. We can deliver and pick up roll-off bins of various types & sizes to recycle your scrap metal. This is part of our effort to be sure that our recycling services are as easy and convenient as possible. We strive to provide a streamlined, user-friendly experience so that recycling is a breeze.